The mystery surrounding Mike is that of Andy, the mothers brother, who disappeared in the woods one day. 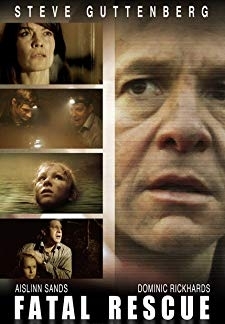 © 2018 Scratchu.com Fatal Rescue | Steve Guttenberg, Aislinn Sands, Dominic Rickhards, Nicolas Landman-Burghardt, Martin Höner, Anna Fin, Florian Kriener, Melissa Holroyd, Robert Dreno, Maximilian Artajo - Fatal Rescue (2009) | English Movie | 3.8/10 | Synopsis : The mystery surrounding Mike is that of Andy, the mothers brother, who disappeared in the woods one day.... Watch Online!! !